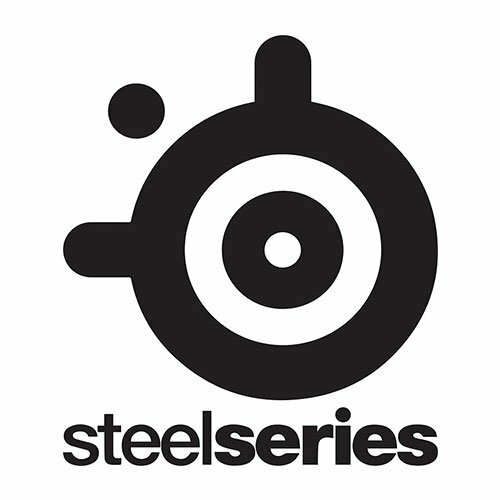 The general consensus among gamers is that SteelSeries products are great introduction pieces; their Sensei mouse series and Siberia headsets are affordable and reflective of the design of higher-end products. So when the Apex keyboard I receive comes out of the box and is just as large as the box it was stored in, be sure to note that this is not the norm for all gaming keyboards out there. 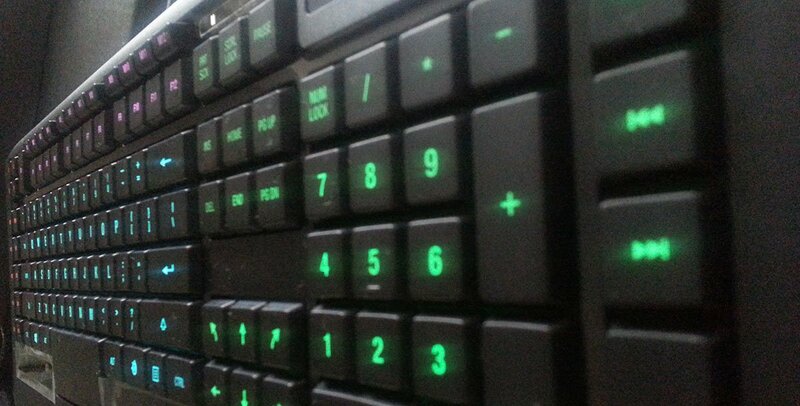 Measuring at roughly 1.5 inches x 21 inches x 9 inches, this is surely one of the largest gaming keyboards out there. Coming with the keyboard was a set of SteelSeries stickers, nubs for a steeper angle, and a “quick start guide”. Immediate impressions beyond its size include the intelligent peripheral design. Though it connects through a USB Y-cable, there are two built-in USB pass-thru ports which makes up for it and allows for wireless headset nubs or mice to be plugged in. Even further, the cable itself is roughly six feet long and braided, making it extremely durable and noticeable compared to the wires that may be around it. There are 140 keys in total, with your standard QWERTY set, a number pad, and a set of media keys. For your gaming pleasure are 22 functional macro keys and four sets of macros; a potential 88 easily accessible macro keys to leave more seasoned MMO, RTS or simulation players salivating. Further additions include an abnormally large spacebar, raised dots on the W key, and up-left/up-right arrow keys (which can be programmed to do other things), though I found myself questioning their need throughout gaming. The question then becomes whether that space is used to its utmost efficiency, and that answer is: not quite. Even with its size, the keyboard feels particularly cramped, especially within the QWERTY set and the top set of macros. The design of the Apex leaves a lot of empty space on its edges and lower region which could have been utilized better. Though the keys are not mechanical, the Apex provided a very good experience when gaming. There were absolutely no keys being dropped due to ghosting, and the macro layers provided immediate switches during strategy and MMO games. 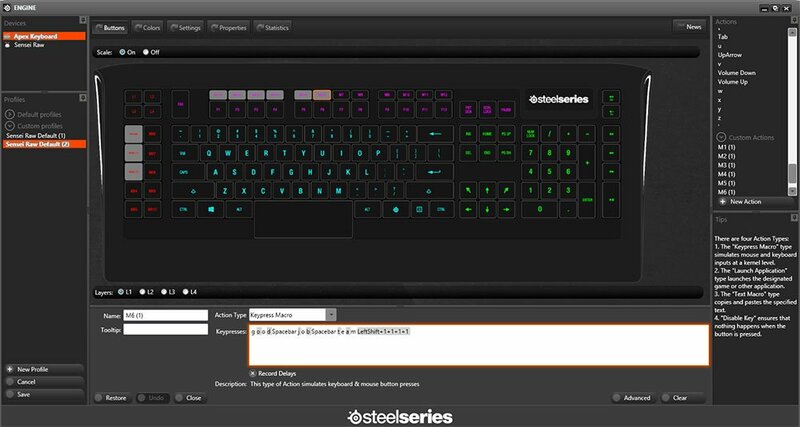 Coupled with the easy-to-use SteelSeries Engine Firmware, the keyboard customisation was incredibly in-depth and unique. Beyond setting macros, there are options to view extensive keyboard statistics, and change the backlight colour and intensity based on the layer in use; the backlight, even at its highest intensity, was unobtrusive and serene. At its core, the Apex continues to uphold the spirit of other SteelSeries products, being a fairly well-designed alternative for gamers on a budget. At $99.99, it’s cheaper than any similar device from competitors such as Logitech and Razer. 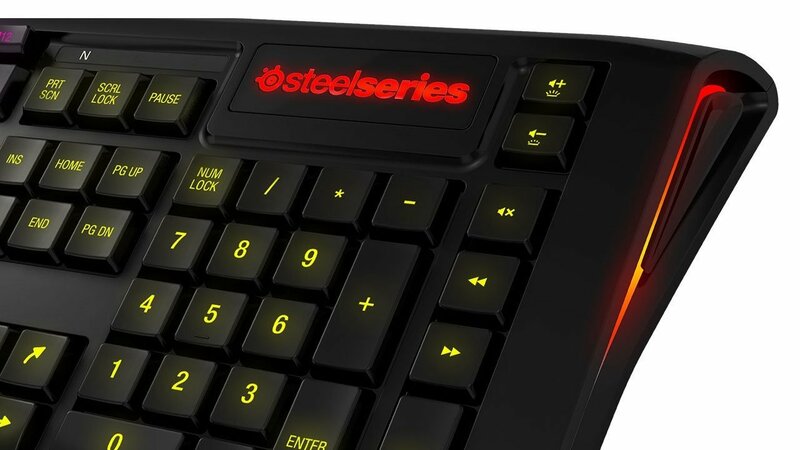 If you can get used to the space between keys and the silicone dome keys, you are getting a superb gaming keyboard with extensive customizability, the ability to issue many complex orders, and an ultimately sleek design. At its core, the Apex continues to uphold the spirit of other SteelSeries products, being a fairly well-designed alternative for gamers on a budget.